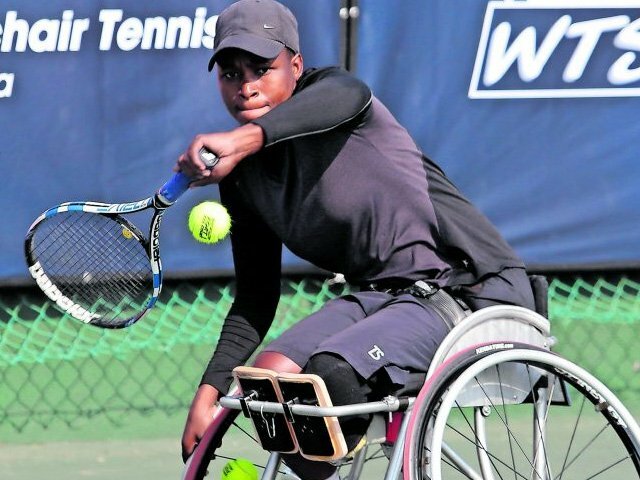 Limpopo-born Kgothatso Montjane is a wheelchair tennis player currently ranked number eight in the world in the women’s division. Born with a congenital deformity of one leg and hands, Montjane’s other foot was amputated when she was just 12 years old. Despite her prosthetic leg, it wasn’t long before she was winning trophies for ballroom and Latin-American dance. At the age of 20, Montjane’s tennis career took off after the Airports Company South Africa provided facilities for her to play wheelchair tennis in her community. The sport was introduced to her while she was at Helen Franz Special School in Bochum, Limpopo. When they noticed her affinity for the sport, Montjane’s teachers at school encouraged her to take it up and represent the school in Johannesburg. She kept playing and fell in love with the sport, travelling to far flung corners of the world to compete. From the Australian Open to the Japan Open, NEC Singles Masters, Doubles Masters, and the 2008, 2012, and 2016 Paralympics, Montjane has played in many tournaments around the world on the Wheelchair Tennis Tour. The Swiss Open is her favourite tournament. Montjane remains unbeaten on domestic courts for nine years. “It is always a great feeling to remain at the top and witness your hard work pay off,” she says. For Montjane, only hard work, dedication and passion keep her at the top of her game. Besides her talent on the courts, Montjane started her own foundation to give back to her former school — the Helen Franz Special School — by providing sports facilities and equipment to help and give hope to people living with disabilities especially in disadvantaged communities.